Ap Digital is extremely beautiful and smart 100% responsive shopify theme, it was built with the modern e-commerce tendencies and best SEO practices in mind. Clean and neat layout for any kind of shop with powerful back-office. This template is fully functioned and provides an unlimited style variation. Its design is perfect diversified commodities as Digital Store, Mobile store, Hi-tech shop, Electronic store, Tool shop, Accessorize shop and multi-stores. 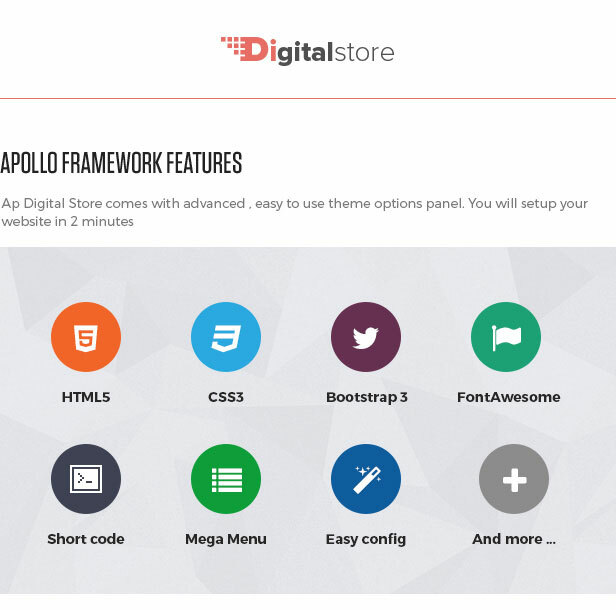 Secondly, Digital Store was built with Apollo Framework one of the best Shopify framework. It is fully responsive and supports both Css3 and Html5, short codes, bootstrap3, front awesome and so much more that help to create refined web pages with semantic accuracy. 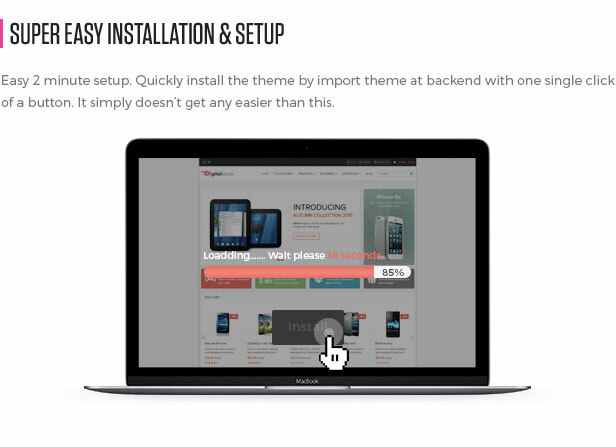 Beside that Animation and Parallax effects or Carousel give the whole theme a smooth sense. Ap Digital Store has full width slides and attractive blog to showcase your collection or your preview about products to immediately approach your customers. Information blocks are nicely display for your customers to track the information they need as discount order, promotion activities. It is fully Responsive Shopify Theme and a flexible theme completely adjustable for any device such as Desktop, laptop, tablet, mobile phone .Ap Digital Responsive Theme comes with lots of built-in functionality which includes powerful admin panel. The powerful admin panel will help you manage your site better, customize easier.